Everyone knows of the great things that happen in October. Fall begins to show its beautiful colors, the nights are cool enough for hoodies and hot cider, football is in full swing, Halloween celebrations are held, and the holidays are just around the corner. But there’s more to October than that. October is National Dessert Month. It is National Cookie Month. It is also National Caramel Month. Is your mouth watering yet? There’s so much to celebrate in October when it comes to our favorite sweets. As if we needed another reason to consume desserts in the month of October. We’re already tempted with apple pies, pumpkin flavored everything, Halloween cakes and cookies, and other fall-flavored goodies. October is National Dessert Month in America, and while we can find no official Presidential Proclamation of the month, we still think it’s worth celebrating. Chocolate Chip. Sugar. Peanut Butter. Snickerdoodle. There are so many different types of cookies out there, it only makes sense that we dedicate an entire month to the cookie. You could probably bake a different kind of cookie every day in October. Decorate with icing or other edibles, or simply eat them by themselves! Or why not try something new, like an Eel Cookie? Also called Unagi Pie, the cookies are from Japan and made with crushed eel bones or extract. October is definitely the best month to celebrate all things caramel. There are caramel apples, caramel creams, little caramel cubes, and caramel lattes. Most things taste better with caramel. Lately the confectionery world has seen a spike in candies flavored with caramel and sea salt. People love the combination of salty and sweet! 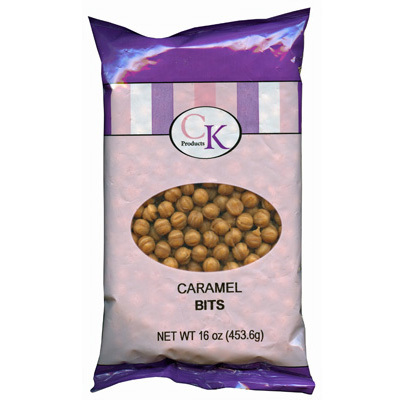 Don’t forget to visit CK Products for everything sweet you want to make this October!